We’ve sprung forward. Tomorrow (March 20) is the first day of spring. The temperatures are warming up in Louisville, DC, and New York City, where you can find us. Hopefully, they’re warming up for you, too! 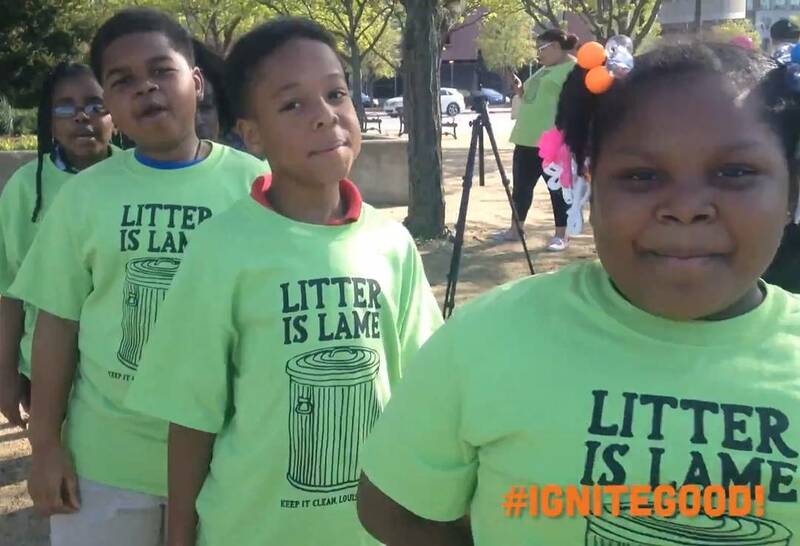 So take advantage of the nice weather and try these activities to Ignite Good!™ Afterwards, kids can sign onto the Global Game Changers website and enter the Superhero of the Month Contest. 1) Get Healthy with a friend! There are many more races in the springtime. Our CCO, Kristy Schmitt, is running a half marathon with a friend in Lexington, Kentucky, at the end of March. The Booby Trap author Anne has participated in weekly 5k runs in Crystal City, Virginia, near her home in Washington, DC. And it’s always more fun to do it with a buddy: you can chat along the route and challenge each other to improve! 2) Help out in a garden. Many gardeners put their gardens to sleep in the wintertime. But when spring comes, they have a lot of things to do to help out spring flowers and get ready for summer ones. Volunteer to help a neighbor or visit your community garden to see if they might need some assistance. 3) Walk the dogs at a local shelter. Dogs need walking throughout the year, even if they don’t have families that love them. Call up your local shelter to see if you can help them out and have fun in the park with a dog on a sunny and warm day! And if anyone comes up to tell you how cute your dog is, make sure to tell them it’s up for adoption and you might be able to accomplish two good deeds at once! 4) Clean up a local beach or park. Be on the lookout, because beaches and parks often organize cleanups in the spring so that they will be ready for visitors as the weather warms up. It’s a great chance to do something good, to care for your community, and to enjoy a beautiful day in beautiful surroundings! 5) Get a game together. Invite kids from your school to play in a fun game – anything works. You could play a sport like soccer, basketball, or baseball. You could do a fun game like kickball or capture the flag. Tell them that the price of playing the game is one canned good. Make sure to have some bags or boxes to collect the canned goods on the day of the game, then you can all deliver them to a food bank or soup kitchen after it’s over! 6) Place flowers at the grave of a veteran. There are so many beautiful spring flowers blooming now. You even might have some in your garden. Cut them, or buy some to decorate the grave of someone who has served our country. You can visit the Veterans Affairs website to see if there might be a veterans cemetery in your area. 7) Host a clothing swap. Now that you’re changing your wardrobe from winter to summer, pick out all of those pieces that you didn’t wear this past winter. Have your friends do the same, and have everyone bring their clothes over to the same house. You might find that your friend doesn’t really like the sweater you’ve been coveting for years and you can have it! Take any clothes that aren’t swapped and donate them to an organization like Goodwill or the Salvation Army. 8) Create Easter or spring baskets for kids in the hospital or the elderly. Fill each basket with some of your favorite candy, and make sure to include a card! 9) Have a fundraiser. There are a lot of great fundraising opportunities unique to spring. You could sell flower bulbs, seeds, or bird feeders you made yourself (check out these great ideas!). Then donate your profits to your favorite charity. 10) Buy someone a cold drink or an ice cream on a warm day. They’ll definitely appreciate the treat!